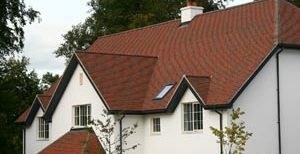 To ensure that the roofs of the cottages in this luxury development blended in with the beautiful rural surroundings and complemented the elegant central manor house. 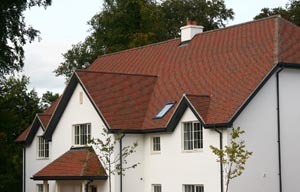 It was critical that the right rooftile was selected to add richness and quality to these luxury homes. 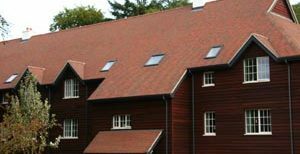 Dreadnought Collingwood blend sandfaced rooftiles were selected as the architects, Gaunt Francis, shared Dreadnoughts belief in the enhanced beauty imparted by the natural burnt colours of clay which is produced entirely by delicate control of the traditional burning process. This means that the colour is inherent within the tile and will become tomorrow’s heritage. 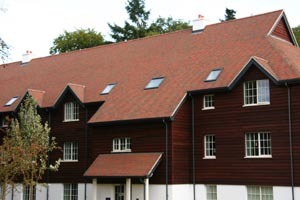 Audley Retirement have won a number of conservation awards for their buildings and are renowned for their high quality developments. Audley Inglewood won a Gold in the "What House?" Awards for Best Retirement Village.